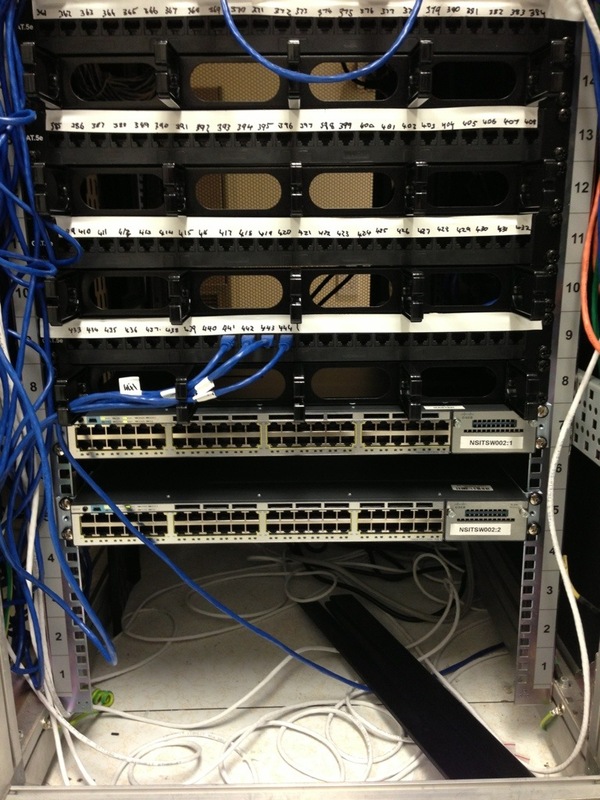 This entry was posted in Networking and tagged cable, Cat5, network, patch panel. Bookmark the permalink. Follow any comments here with the RSS feed for this post. Post a comment or leave a trackback. 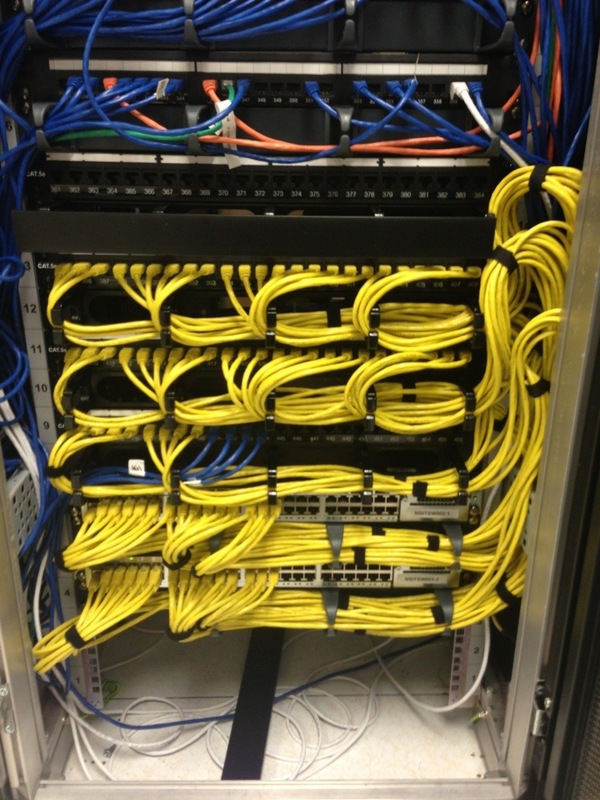 Looks like every patch cable was too long – that big uptick on the right hand side is a world of pain waiting. These look pretty, but actually try living with a patch frame like this…. Ideally your switches should be interleaved with the patching panels, so that cables don’t have to go a long way. And colour coding can help, if you maintain enough spares of all colours to make sure the right one is available. You are quite right! The time scales for the project were mega tight and the cables had already been ordered when I arrived. Colour coding is a very good thing to do. Much easier to be able to pick servers, interconnects and such outta the mix at a glance.